Pure Art Foundation » Another Adventure to begin…Pure Art steps it up with 2 homes in ONE week! Another Adventure to begin…Pure Art steps it up with 2 homes in ONE week! A new adventure is about to begin as 24 volunteers make their way to Lima, Peru! Our challenge this year is to build 2 homes in ONE week! Follow us as we begin our jungle adventure! 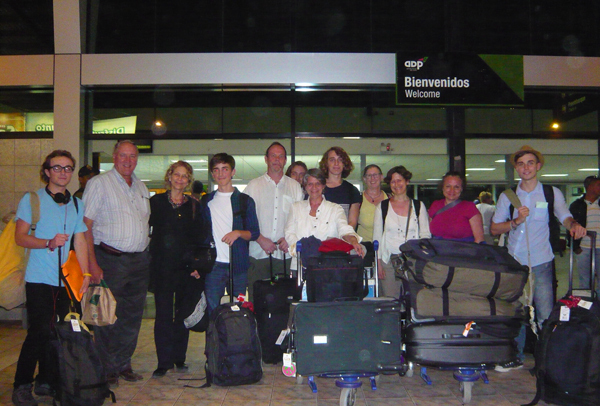 Pure Art Team Begins to Arrive in Pucallpa! I visited the Pure Art Foundation store in Hudson today and was blown away by the beauty and quality of items in this store! And then I heard about the Foundation and all the projects and good this foundation is doing. I want to be involved! I am a teacher presently wording in a private school for the Intellectually Handicapped. I teach art to my students and we have just had an art exhibit and sale. My class raised 60$ and I want to contribute it to your foundation. But I also want to be involved and go to Peru to help. Please let me know how I can be actively involved in your group. Thank You Denise, you are a perfect example of how art can heal. Please know that your kind contribution will go directly to the Pure Art project here in Pucallpa. During the posting of this blog from Peru, you will learn where exactly your funds will go.